1. One Direction. I'm quite sure I've mentioned this before but I LOVE One Direction! Even though they broke up, I still can't stop listening to them! I even made this Spotify playlist for you of all my favorite songs of theirs! They are so fun, happy and catchy!! 2. Fuller House. I LOVED Full House when I was little so when I heard that Fuller House was coming out, I HAD to watch. I LOVE how perfect the name is on three levels...an extension of full, their sure name and the fact that there is even more people coming in and out of the house! Brilliant! I marathoned half of it in one day, then slowed down and finished it that week. I cannot wait for season 2! 3. Twilight. 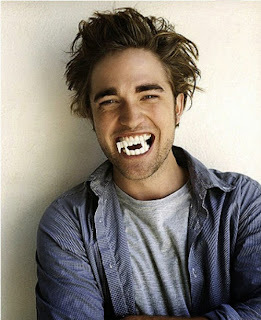 I LOVE vampires. Interview With A Vampire is my favorite movie. So when I heard about the Twilight books, I had to read them. I races through them and was excited when the first movie came out. I loved the first, the rest were ok. But I will always have the books :) Nerd Coolture and I had a great lil conversation about Twilight fans. Listen HERE! 5. Justin Beiber. This is the year I say I LOVE JB! When I came out to visit my BFF in Denver this past December and she played for him some of his new songs....I was like I LOVE THIS! Who is it?! JB. UGH and YES! I can't stop listening to Sorry, Love Yourself and What Do You Mean? I LOVE the Sorry video and totally want to learn the choreography! I cannot wait to hear what some of your favorite guilty/not guilty pleasures are! Share them with me on Twitter @thenerdygirlie for a RT! Happy Fri-yay nerds AND HAPPY BIRTHDAY to my Mom!!! Who's ready for the weekend!!?? Friday April 15th, 2016: Fandoms You LOVE But Didn't Think You Would! Okay I must admit this now. I have become a One Direction fan, just before they took their break. I saw the James Cordon car karaoke and that was it. A 1D fan was formed. I don't think one should ever feel guilty about pie. Then again, I've been know to eat pie for breakfast, so maybe I'm not the best judge. I don't care who you are, One Direction has some super catchy songs. I decided to play along on our blog: http://bookendedbycats.blogspot.com/2016/04/5-fandom-friday-3-8-16.html hope you will check it out.